Highland is a very active church in supporting the missions of God’s work throughout the world. Throughout the year teams of men and women respond to emergency cleanup, rebuilding requests, and a returning to damaged neighborhoods to continue rehabilitation. Every July upwards to 100 Highland men, women, youth and children transform lives in Mars Hill, North Carolina while adults and teens alike travel to international work sites in Central and South America. Just last year, our mission team had a successful journey to El Salvador and enhancing our partnership with the Reformed Calvinist Church of El Salvador. There they worked side-by-side with the church and community in El Limon to help the people build rooms in the church dedicated to small business development. The team saw first hand the work of Highland-supported missionary, Kristi van Nostram who is a facilitator for the Joining Hands program in El Salvador, an initiative of the Presbyterian Hunger Program. This was previously known as the Mars Hill Mission trip. Next year July 21-26, we will be going to Morgantown, WV. Only 4 hours away from here. Our goal is go with 70 people between children, youth and adults to work on houses of low income families. We will be staying at West Virginia University and working with the Shack neighborhood house. Cost for adults and youth $250, children $ 200. Cost lower with fundraising events. Scholarships available upon request. Imagine, spending a week eating together, laughing and sharing devotionals; then going in groups to help people whose homes needs improvement in the Appalachian Mountains. You don’t have to be a professional in construction. Please pray about this mission opportunity and consider joining us this year July 15-21, 2018 to make homes warmer, safer, and drier! This is Highland annual inter-generational mission trip. You will join fellow church members for a week of service, fellowship, and worship while creating amazing memories and making life long friendships. Interested? Download a brochure and registration form to complete. Payment, registration, and medical forms should be completed and send to the office no later than June 24, 2018. Any questions, please contact Jim Eberle ebtide86@gmail.com or Pastor Noe Juarez at: noejuarez@highlandpc.org. The Global Outreach Committee at Highland has scheduled a return trip to visit our brothers and sisters in Christ in El Salvador from Saturday, June 9th to Friday, June 15th, 2018. 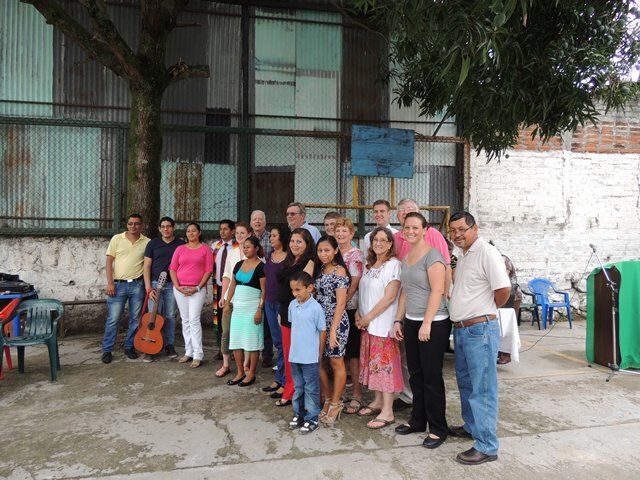 Highland has been in partnership with the Reformed Calvinist Church of El Salvador (ICRES) for fifteen years. Over these many years we have worked with the church in El Salvador to create a number of economic and educational assistance projects to assist communities there. 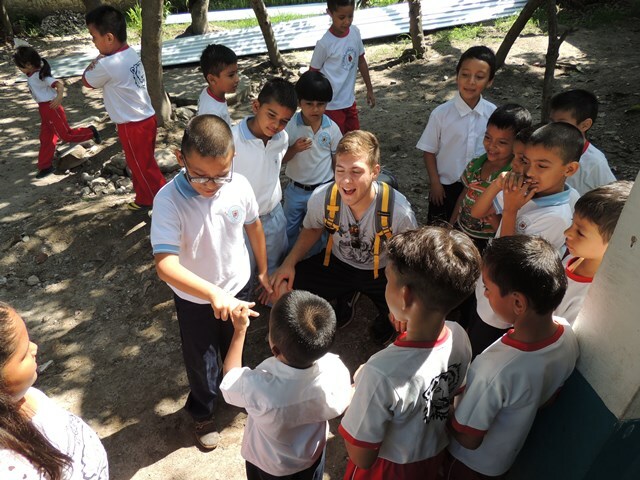 Highland’s current focus, and the focus of the June 2018 trip, will be to fellowship with the students and teachers at Juan Calvino School in the community of Soyopango, on the outskirts of El Salvador’s national capital of San Salvador. Our congregation has provided financial assistance and labor to the expansion of this school over the course of several visits. The result is a school that is growing in the number of students who receive a well rounded education in a poverty-stricken community. And the school is planning to grow within the next year to include secondary grades in addition to the elementary grades that are already provided. To help meet the needs of this expansion, the initial plans for our visit are to help the school expand their library facilities and selection of books as well as help expand the bathroom facilities. Approximately 50% of the over 100 students at Juan Calvino School receive financial assistance to attend school, and a large portion of this assistance is from the Highland congregation through your annual giving. The maximum size of the Highland team is limited to 14 people, with a minimum age of 16 for youth who would be traveling without a parent. The total cost for the trip is estimated to be in the neighborhood of $900-$1,000, which includes round-trip airfare, lodging and most meals in El Salvador, and transportation in country. Near-final costs are expected to be known in early December. This has been a popular trip over the years, and we expect it to fill up fast. To receive a registration form, please contact Ian Turner at 717-371-2764 or ian@globeturner.com. A deposit of $500 will be required at the time of registration to reserve your participation. If you have any questions about the trip, please feel free to contact Ian as well.